The enactment of medical cannabis access laws is associated with significant reductions in prescription opioid use among Medicaid enrollees, according to just-published data in the journal Addiction. 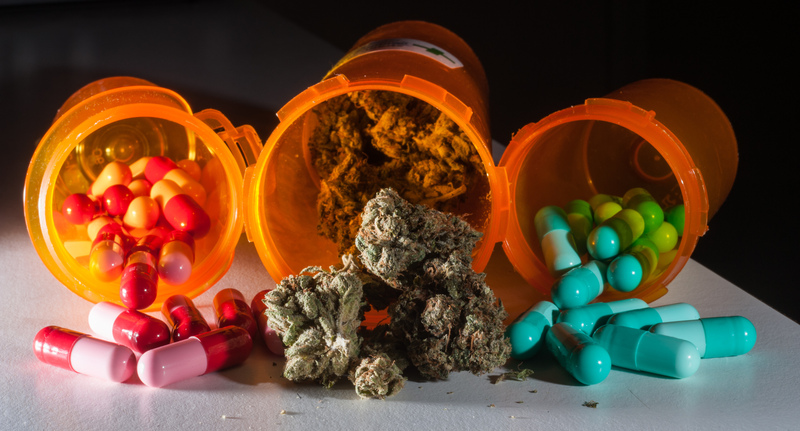 Investigators with the University of California at San Diego assessed the relationship between medical cannabis legalization and opioid use among Medicaid enrollees over a period of 21 years (1993 to 2014). Authors reported, “For Schedule III opioid prescriptions, medical cannabis legalization was associated with a 29.6 percent reduction in number of prescriptions, 29.9 percent reduction in dosage, and 28.8 percent reduction in related Medicaid spending.” This correlation remained after authors controlled for potential confounders, such as the establishment of prescription drug monitoring programs and variations in patients’ income. By contrast, authors did not report similar changes in enrollees’ use of Schedule II opioid drugs, like Oxycodone. Their findings are similar to those of numerous other observational studies – such as those here, here, and here – finding that medical marijuana regulation is correlated with reductions in overall opioid-related use, drug spending, abuse, hospitalization, and mortality. Separate data evaluating prescription drug use trends among individual patients enrolled in state-licensed medical marijuana programs is consistent with this conclusion, finding that many subjects reduce or eliminate their use of opioids following enrollment. The abstract of the new study, “Medical cannabis legalization and opioid prescriptions: Evidence of US Medicaid enrollees during 1993-2014,” appears online here.